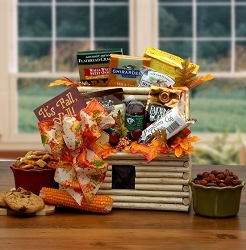 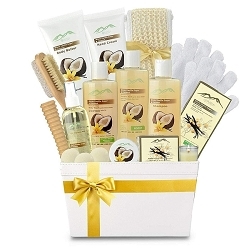 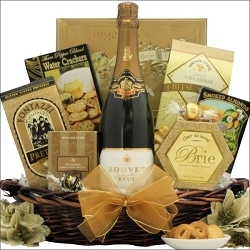 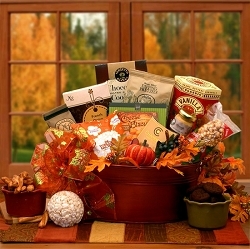 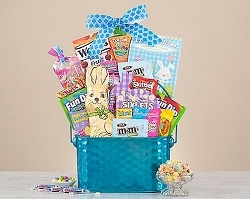 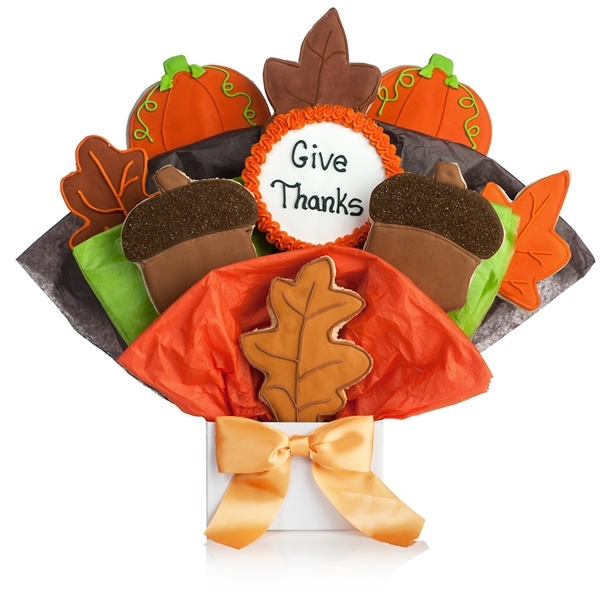 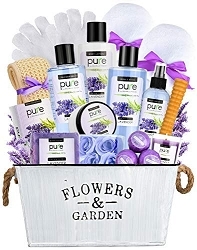 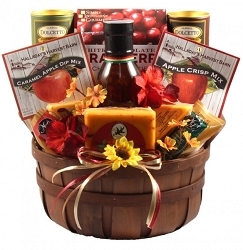 Send harvest time greetings with this delightful Thanksgiving wine gift basket. 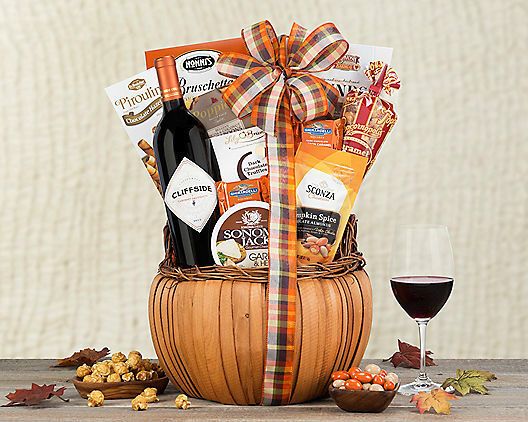 This exclusive gift features a Cliffside cabernet sauvignon with just ripe black cherry, black currant, vanilla, nutmeg and spice. 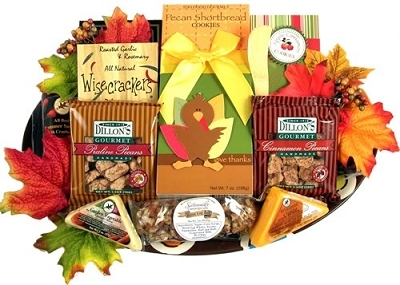 Combined with Lily O'Brien's dark chocolate truffles, Nonni's bruschetta Italian toast, chocolate hazelnut wafer cookies, macaroons, sesame crackers, Ghirardelli dark chocolate bourbon caramel squares, garlic and herb cheese spread, caramel corn and pumpkin spice chocolate almonds. 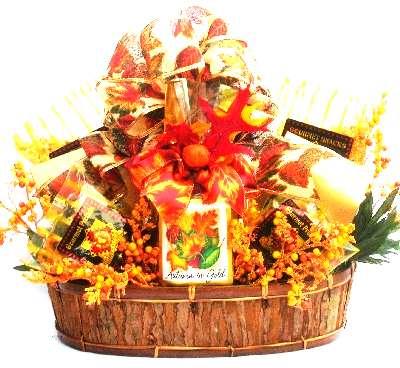 Gift Size: 12" x 12" x 14"